Choosing the perfect stirrup for your horse riding discipline – whether pleasure riding, eventing, showjumping, hacking or dressage! Is it time to update your stirrup irons? 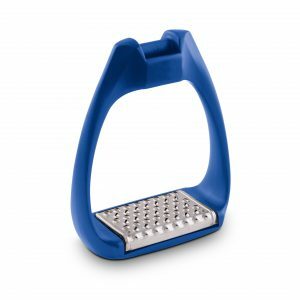 If you have recently purchased a saddle, maybe they came with the saddle… or maybe you are a very traditional equestrian enthusiast, love the look of an old-fashioned stainless steel Fillis stirrup iron, but haven’t tried the more modern, polymer-blend alternatives? 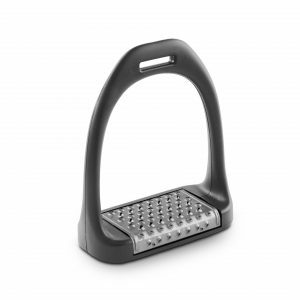 If that’s the case, why not check out a technologically-advanced stirrup, like Royal Rider’s exciting range? Your choice of stirrup should of course depend on your discipline. 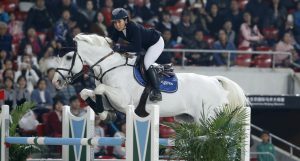 For example, pleasure riders often like wider stirrups, partly because they may ride in wider boots if they’re hacking, but also as they often ride with a longer length, and need the stirrups to take more weight. A great ‘all-round’ stirrup is the ‘RR PERFECT’. It has a relatively wide arch which makes this stirrup spacious and ergonomic, ensuring high stability and safety. It’s perfect for all horse riding disciplines. It’s made from a high-strength techno polymer blend resulting in a lightweight stirrup. The ‘RR Perfect’ stirrup from Royal Rider boasts high structural integrity. The showjumper or XC enthusiast sits further towards the back of the saddle than the flatwork enthusiast, and keeps the legs in a more forward position, with shorter stirrups. Too-long stirrups may cause the rider to balance on the horse’s neck or reins, and finding the correct stirrup length along with a high-quality stirrup really can hone performance over fences, and promote the perfect, balanced jump (left). ‘RR SPORT’ is a great choice for jumping – it is a high-end technical and stirrup; extremely light but highly resistant, thanks to its techno polymer construction. It’s cousin, the ‘RR PERFECT FLEX’ stirrup boasts a sophisticated system of stainless steel tie rods positioned on the stirrup body, covered in technical rubber. These offer an element of flexibility which is useful when meeting the high demands of showjumping. Dressage riders generally have a longer, straighter riding position, with a stirrup length that allows the back to become straighter, with the pelvis tilted backwards. The rider’s knee should maintain a bend, as it needs to act as a shock absorber. Dressage riders tend to put more weight into the balls of their feet, as opposed to the heel and ankle – this is because in jumping, the ankle is more of an ‘anchor’, with a closer angle, while in dressage, the leg is longer and closer to the horse’s ‘barrel’. The ‘RR EVO ACTION’ (above, in blue), is the perfect stirrup. It introduces the concept of active suspension in shock absorption, maximising support and comfort. The Evo Action boasts a ‘progressive suspension system’ that adapts to the rider’s weight. It’s ideal for those dressage riders riding multiple horses a day, easing strain on the knees and ankles, and also for anyone with arthritic-type conditions who need to reduce joint-strain. (The other Royal Rider stirrups in the range also work well for flatwork, if you prefer not to change stirrups between disciplines). For anyone that wants a modern safety stirrup, the ‘RR T3’ from Royal Rider is the stirrup for you! Its shape allows positioning of the foot and a greater balance of the rider’s body during the jump phase – the stirrup cleverly accompanies the movement of the rider. Also, in the event of a fall, its particular shape allows the foot to free itself quickly. Australian eventer Ryan Wood is one of the world’s leading eventers, recently winning the Lexington Virginia CCI1* riding Ruby, and placing top ten with at Pau in the CCI4*, riding Woodstock Bennet. 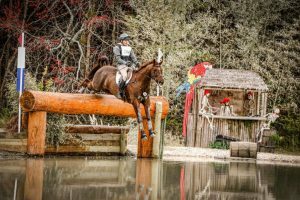 A reserve rider for the World Equestrian Games last year, he also scored top ten placings at several other three star events in 2018. 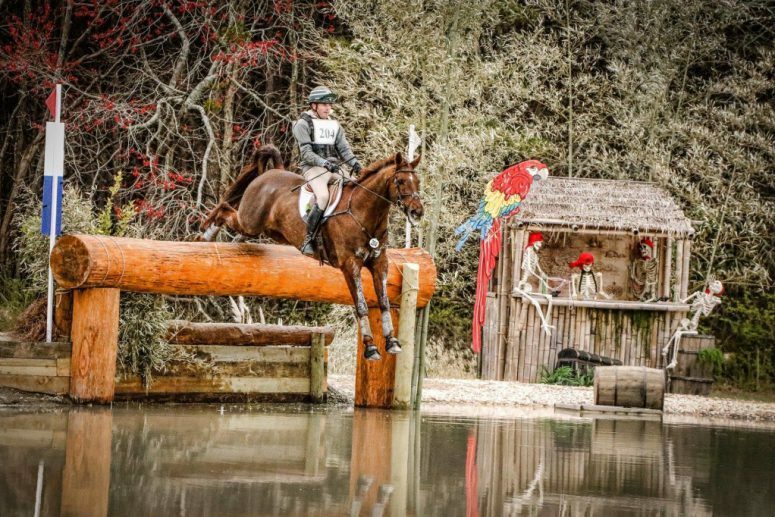 Ryan runs his business Woodstock Eventing out of fellow Australian Phillip Dutton’s True Prospect Farm in America. He’s a renowned horse producer and riding coach. Ryan maintains that we should all make an investment to choose stirrups that optimise performance. 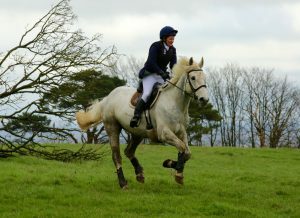 Eventer Ryan Wood. Photo by Cindy Lawler. “That’s why I use Royal Rider Stirrups. A highly engineered stirrup like these actually helps aid rider balance. It helps the rider keep their stirrup iron on the approach, take off, jump, landing and get-away, and allows the rider to maintain the correct position of their foot, and achieve greater balance over a fence. They also offer shock absorption, which is great when you ride as many horses a day, as I do,” he says. 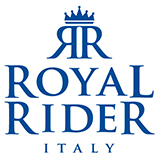 If you’re in the UK, visit the website of our UK Royal Rider distributor. Or, you can make an enquiry about distributors and retailers in your country by visiting: royalrider.it/en/shops. PrevAre you looking for ways to improve your jumping position and performance?